The annual conference of the SMSF Professionals’ Association of Australia kicks off in little under a week, with the Federal Government’s superannuation policy and how regulators implement it to take centre stage. On the opening day next Wednesday, Assistant Treasurer Arthur Sinodinos will outline the Government’s approach to superannuation, with a particular focus on self-managed super, and then field questions from the audience. SPAA CEO Andrea Slattery thinks this is a “tremendous initiative” to let SPAA members ask the minister directly about any policy issues. 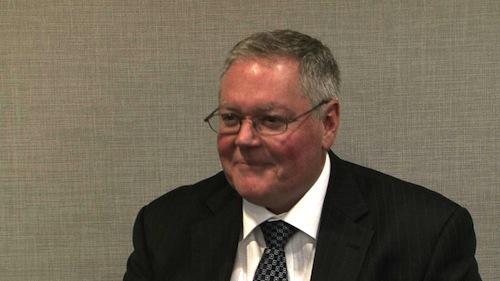 Senior officials from the Federal Treasury, ASIC and the ATO will talk at the plenary session on the final day, which should give insight into how these three government bodies approach superannuation, says Slattery. Delegates will hear from at the Australian Treasury revenue group executive director Rob Heferen, ATO deputy commissioner Alison Lendon, and ASIC commissioner Greg Tanzer about current SMSF work programmes and results. The Opposition’s superannuation spokesperson, Bernie Ripoll, will also address the conference on the final day. The conference will be held in Brisbane at the Convention and Exhibition Centre from 19 to 21 February.